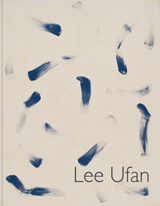 The Lee Ufan Catalogue Raisonné is forthcoming from Artifex Press. Please return later for further details. For further information about the catalogue, please contact Christine Lee at: clee@artifexpress.com.